In the middle of the One Year War, Ensign Shiro Amada is transferred to South East Asia to command Kojima Batallion's 08th MS Team, a small army of soldiers piloting RX-79[G] Gundam Ground type units. 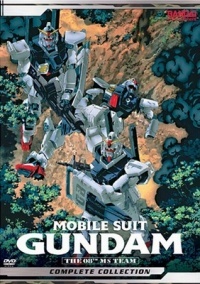 During the skirmishes in the jungle, he confronts ace Zeon pilot Norris Packard and falls in love with Aina Sahalin, a pilot involved in testing Zeon's top-secret mobile armor. This relationship leads to the Federation doubting their trust in Shiro. Now Shiro must prove his loyalty in the battleground or die a traitor.